Minimum quantity for "Mini Alpaca Tote" is 1. 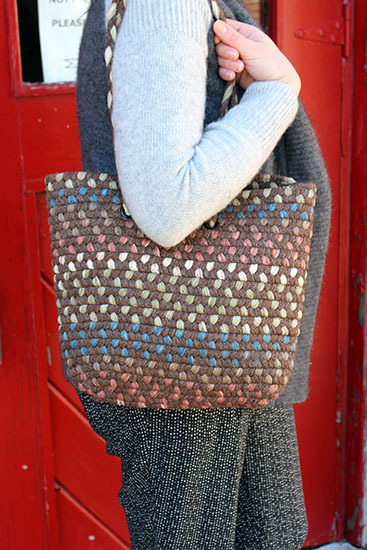 The Mini Alpaca Tote is made from 2/3 U.S. Alpaca Yarn woven with 1/3 Potpourri Yarn recycled from other projects around the mill. 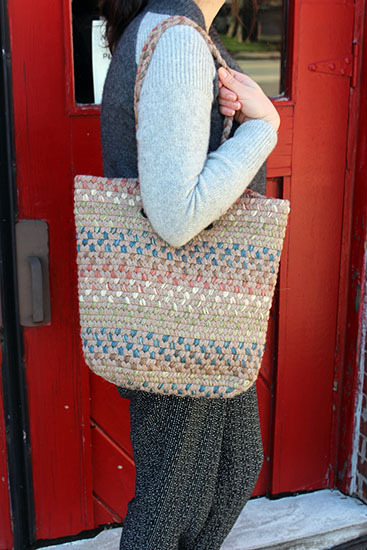 This tote is sized right in between our Purse and Knitter's Tote, making it a bit more versatile.